When someone suffers a head injury, including a closed head injury which involves no noticeable bleeding, it often results in a pooling of blood between the brain and dura. This pooling of blood, or even a bruise to the brain, results in the buildup of pressure that can cut of the flow of the blood to the brain. 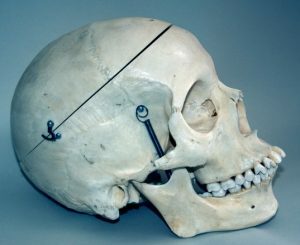 In an effort to alleviate the pressure, doctors will sometimes choose to remove a section of the patient’s skull. The procedure is known as a craniectomy. While there is evidence that doing a craniectomy will prevent a patient from dying the hospital soon after arrival, according to a recent news feature from WebMD, the procedure may be leaving patients alive, but with permanent and extensive brain damage. This article discusses a new clinical study that found the procedure decreased the chances of a patient’s death by around 20 percent as compared to those patients who were treated with medicine alone. While this part of the equation seems like good news, the study also showed that the patients who survived following a craniectomy were three times more likely to end up in a persistent vegetative state following the surgery than those who survived the head injury when treated with medication alone. However, just to add some perspective to these numbers, the rate of being in a persistent vegetative state was around six percent following surgery as compared to a two percent frequency with those who survived a massive head injury and treated with conventional medicine alone. Initially, it would seem like we are talking about many more patients surviving and not that many of them were suffering from from severe brain damage. However, these numbers only refer to the most severe type of traumatic brain injury. They do not speak to an increase in long term brain damage that can have long term effects without leaving a patient in a vegetative state. As our Boston personal injury attorneys can explain, a traumatic brain injury (TBI) can have life altering effects and can result in extensive medical bills and rehabilitation costs. For this reason, if you or a loved one was injured in an accident that was not your fault, you should contact and experienced attorney as soon as possible to see if you have a valid personal injury claim. This particular study was run as a clinical trial in which around 400 patients who suffered a serious head injury were selected at the emergency room to participate. Once they were in the study, they randomly selected which patient would get the surgery and which would be treated with traditional medicine. The study took place over a period of ten years from 2004 to 2014. The patients or their parents or guardians all agreed to be in the study and were between the ages of 10 and 65. While there was no question that more patients survived following the surgery, the study tracked their long term progress and found significant issues for those who survived following the skull removal surgery. If you have suffered personal injury in Massachusetts, call the Law Offices of Jeffrey S. Glassman for a free and confidential appointment — 1-888-367-2900.